German guy and his Italian girlfriend cosplay Germany and Italy. A cute couple formed of a German guy and an Italian girl cosplaying Germany and Italy from Hetalia.. Wallpaper and background images in the hetalia club tagged: hetalia germany italy aph axis powers hetalia gerita cosplay. 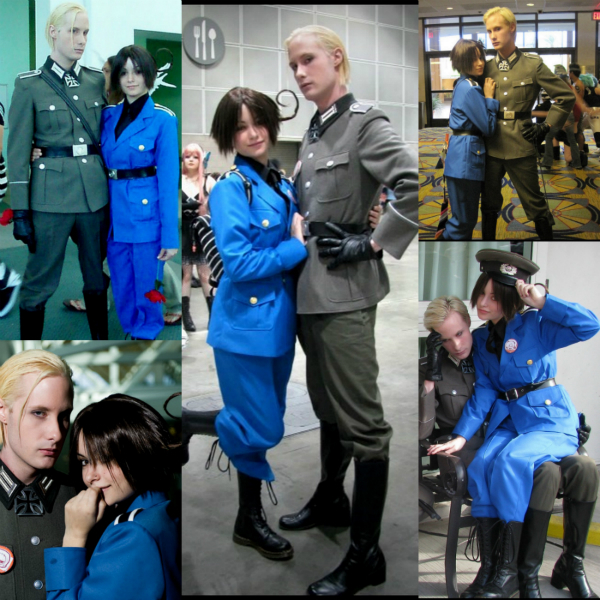 A cute couple formed of a German guy and an Italian girl cosplaying Germany and Italy from Hetalia. This hetalia photo contains boina verde, fuerzas especiales, soldado de élite, soldado de élite de boina verde, fuerzas especiales, sello de la marina de guerra, sello, sello de marina de guerra, marina de guerra sello, and sello de. There might also be ropa de trabajo, fatigas, se fatiga, uniforme de fatiga, uniforme de campaña, and vestido de batalla. ^ are you serious? I always thought Germany is the hottest Hetalia character.